The cigar box guitar, one of the most primitive and basic of homemade American musical instruments, is flourishing these days. The first cigar box guitars appeared in the mid-19th century in rural America made from castoff materials by both black and white musicians, usually too poor to buy a “real” guitar from the ubiquitous Sears catalog or elsewhere. 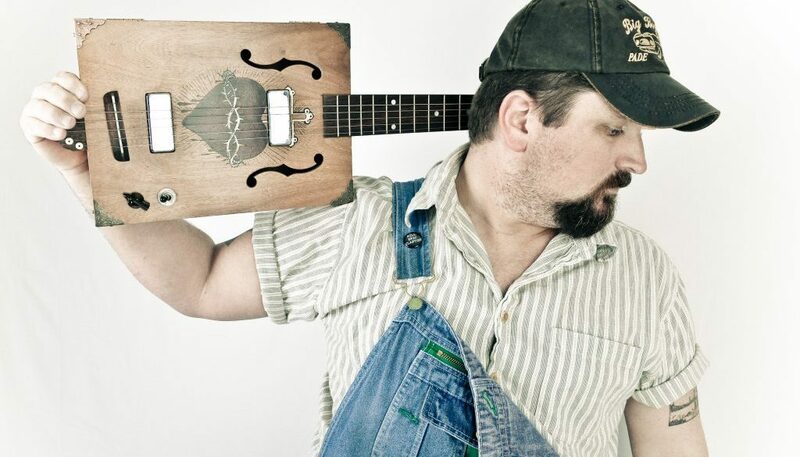 Regardless, Speal has undoubtedly popularized the cigar box guitar perhaps beyond his wildest dreams since he started playing them almost exclusively years ago. Shane gigs regularly, both solo, and with his Snake Oil Band and other combinations of musicians, playing cigar box guitars, many of which he has made. He manufactures and sells “CBGs” on his website, shanespeal.com, runs another website, CigarBoxNation.com, freely distributes extensive information on building the instruments, organizes cigar box guitar festivals, hosts cable television and radio broadcasts, and tirelessly promotes other cigar box guitar artists worldwide. 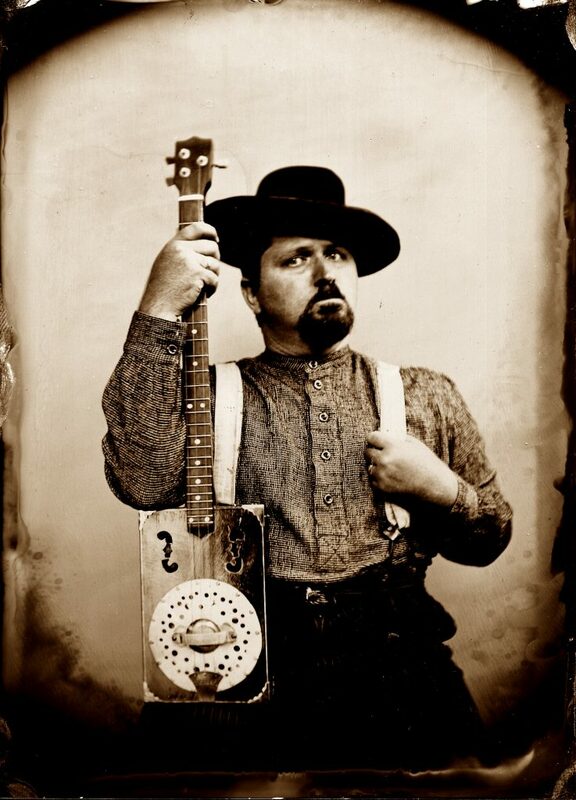 We asked Shane how he got into cigar box guitars. And, as might be expected, Shane has an extensive collection of cigar box guitars. Shane has a marketing background that he uses liberally to promote himself. “Marketing is just as creative as songwriting or instrument building. I run a company called Shane Speal Music and Marketing. I work with other businesses as well. My biggest client is CBGitty.com, the world’s largest online catalog of cigar box guitars, parts and accessories. Ben “Gitty” has released several products of my own design. I’ve also done marketing and ad design for those wacky Multivox guitars. Bob Cianci is a freelance music journalist and author of the cult classic book, Great Rock Drummers of The Sixties, as well as a working guitarist and drummer. A lifetime musician, Bob also buys, sells and collects guitars. He has written for Premier Guitar, Vintage Guitar, Guitar Player, Collectible Guitar Then & Now, Guitar Coach, Blue Suede News, Modern Drummer, Vintage Drummer, Drumhead and many other publications, newspapers, blogs and websites. He lives in northwestern New Jersey.